When adding participants to an event on the smartphone view (Android), the field to add participants is very small. With the keyboard additionally on the screen, it gets very crowded and not very visible. 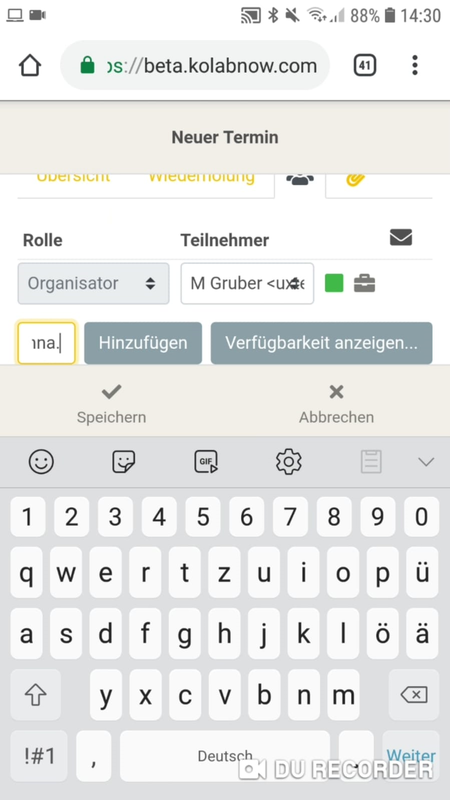 Expected result: Having enough space to see what you are typing in. Actual result: Only seeing the last letters that are typed in. what smartphone? OS? Browser? Screen resolution?